It's now officially hurricane season, and there's a lot of anxiety after last year's extraordinary devastation from several vicious storms. What to watch: Forecasting groups including the U.S. government are calling for the likelihood of a near-average to slightly above-average season, though emerging signs may call for this projection to be revised downward mid-season. 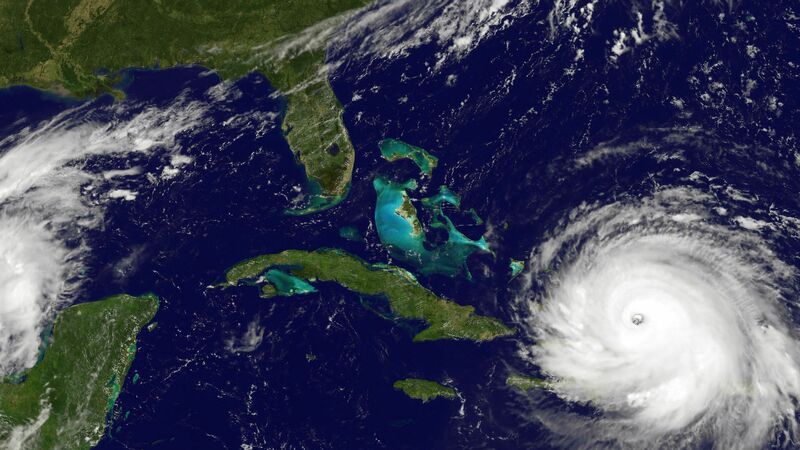 The details: The National Oceanic and Atmospheric Administration (NOAA) projects there will likely be between 10 and 16 named storms this season, five to nine of which will be hurricanes, and one to four major hurricanes (Category 3 or greater) are expected. Yes, but: As of June 1, sea surface temperatures in the so-called "Main Development Region," which is where most Atlantic hurricanes form, are running below average for this time of year. In fact, these waters are the coldest they've been at the start of hurricane season since May 1994. This would suggest that the season may be less active than usual. The Atlantic is still in an active cycle of tropical storms and hurricanes that began in 1995. Colder than average sea surface temperatures likely resulted from prevailing winds around a persistent area of high pressure in the west-central Atlantic during April and May. That weather pattern could soon change, heating waters up quickly. “The most effective way to change the sea surface temperature is to change the winds that are blowing across it,” says Jim Kossin, a hurricane researcher at the National Oceanic and Atmospheric Administration (NOAA). “There isn’t a very strong relationship between the anomalies now and the anomalies in August, which is when things really start to happen in the Atlantic," Kossin said. Other hurricane specialists told Axios that the sea surface temperature pattern is still suggestive of below average hurricane activity, but could change as the peak of the season nears in August through September. The back story: Last year, 17 named storms formed in the Atlantic Ocean basin, 10 of which were hurricanes, and six were major hurricanes. The most active period last year was from late August through early October. FEMA Deputy Administrator Daniel Kaniewski urged those who could be affected by the hurricane season to download the FEMA app to stay up-to-date on alerts. He also suggested purchasing flood insurance. There will be an update to the forecast in August, just before the peak of the season starts. Go deeper: More about the past thirty years of Atlantic hurricanes.